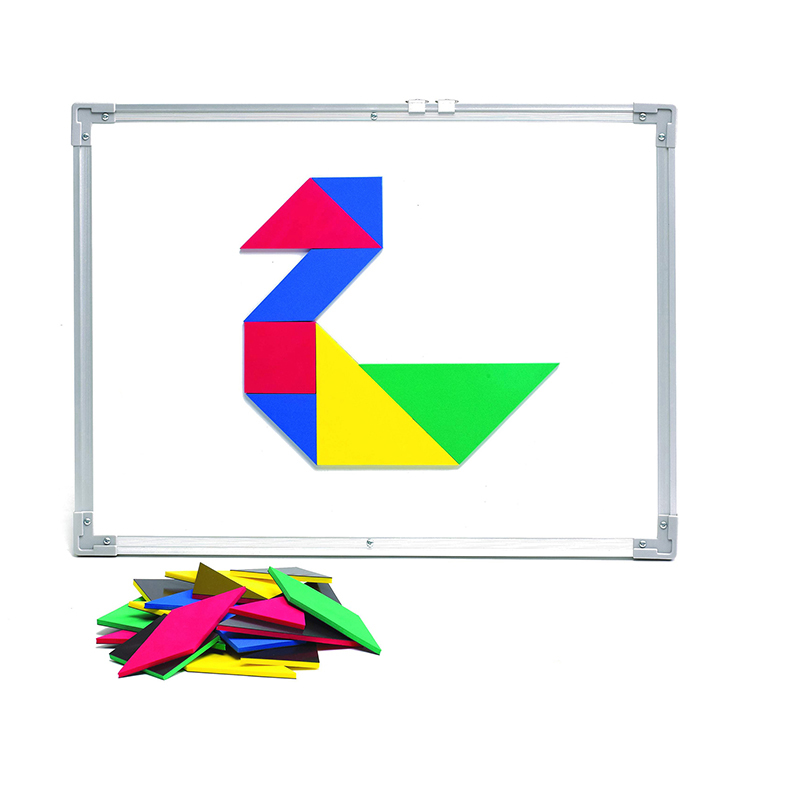 Giant Magnetic Foam Tangrams are great for whole class demonstration. Large 7-7/8" x 7-7/8" x 3/16" (20 x 20 x 0.5cm) square is formed out of all 7 pieces, pieces come in four colors. Set includes 28 pieces.